The H-2A program allows for seasonal workers from other countries to work in U.S. agriculture. It’s used as a last resort as it’s required of the farmers to hire American workers first, but that becomes harder year after year. It’s also costly for producers to hire workers through the program because it’s required to cover the costs for housing, transportation and other expenses. Under the seasonal requirement of the program, year-round operations, such as dairies, are not able to get work through the program. 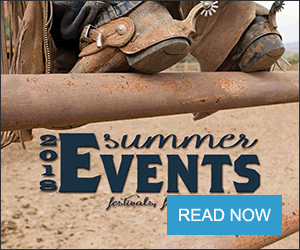 Rep. Bob Goodlatte, R-Va., proposed a bill in October 2017 that was meant to improve the guestworker program and also would allow non-seasonal employers, such as dairy farmers, to hire non-U.S. citizens, as well. 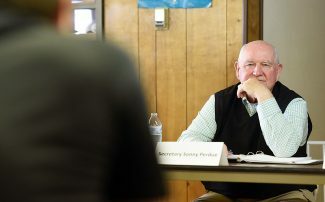 Secretary Sonny Perdue said the bill actually was better before revisions were made to get it out of committee, but told media following the roundtable it might rely on Congress taking up immigration reform in congress. Secretary Sonny Perdue took some time to discuss the North American Free Trade Agreement. Stepping back from his normal optimistic stance, Perdue said China has moved to the No. 1 priority when it comes to trade. But even so, there isn’t a lot of time left to get NAFTA hashed out, which can be a problem for Colorado in particular as about 50 percent of Colorado’s agriculture industry relies on exporting and of that about 50 percent is with Mexico. Plus, even this week Speaker of the House Paul Ryan said an agreement must happen within the next week for Congress to act on it in time. BRIGHTON, Colo. — Agriculture Secretary Sonny Perdue said farmers are professional whiners. Well, there's a reason for that, and a large part of it comes down to labor issues. Perdue had a round-table session with 17 fruit and vegetable producers from Colorado on May 15 at Sakata Farms in Brighton, Colo., as part of his fourth "Back to Our Roots" tour. 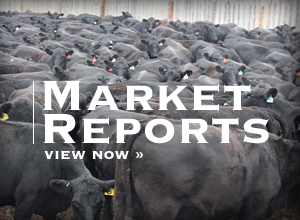 The current installment started May 14 in New Mexico and concludes May 17 in Nebraska. 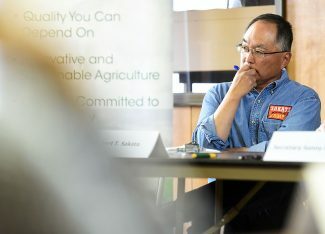 The main topic of the discussion Wednesday stuck to labor issues, in particular the H-2A program. H-2A is a program for people from other countries to work in the United States for seasonal agriculture work. There are higher costs that come along with hiring H-2A workers, but many producers rely on the program to get the working hands they need in the field. "If we don't get (H-2A) right we will become an importing country," said Harry Talbott, whose family is well-known for their Palisade, Colo., peaches. There wasn't anyone in the room who called for the H-2A program to end, but everyone had aspects of the program they want to see improved. A few farmers talked about issues with the labor department, especially when it comes to delays. Reid Fishering is an Olathe, Colo., farmer who focuses on sweet corn and said working with the labor department is an annual problem. "This year we're already two weeks behind because we didn't get the initial 20 (workers)," he said. Fishering said he normally hired 120 workers through the H-2A program, 20 for planting and 100 later. He said his operation factors in delays with the Department of Labor but even the time buffer wasn't enough. Perdue, who served as the governor of Georgia from 2003-2011, said there have been many discussions about changing and updating the H-2A program but everything comes down to Congress. What about American workers, especially with President Donald Trump's "Buy American, Hire American" initiative? Well, they don't want to work the fields. Jordan Hungenberg, co-owner of Hungenberg farms based in Greeley, Colo., said the farm had to cut out cabbages, one of the its staple crops. He said they decided to stop growing cabbage this season, in part, because of the weather but labor played a big role in it, too. He said it's hard to compete for workers and many aren't willing to bring a good work ethic because of low pay. Hungenberg said the H-2A program seemed too expensive to pursue and are now relying more on carrots — organic and conventional — because they can use more machinery and require less labor. A suggestion given to producers to answer labor shortages is to recruit or use people in prison for labor. "The next day they asked to go back to prison," Perdue said. — Samantha Fox is a reporter for The Fence Post. She can be reached at (970) 392-4410, sfox@thefencepost.com or on Twitter @FoxonaFarm.